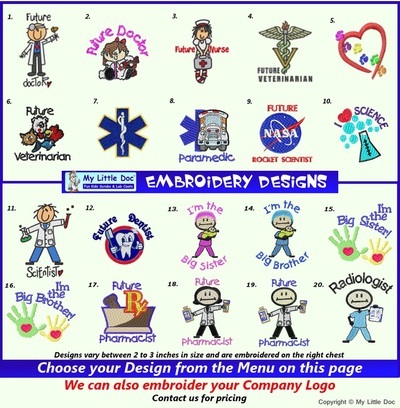 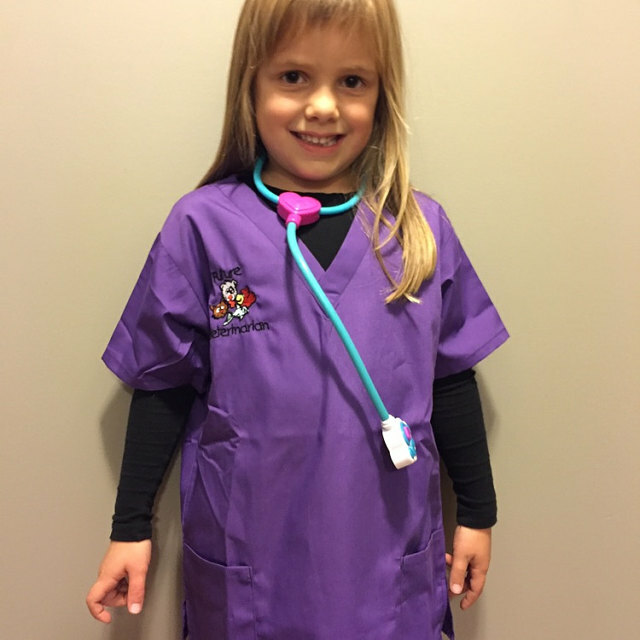 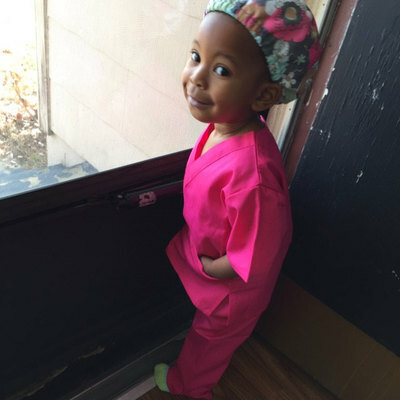 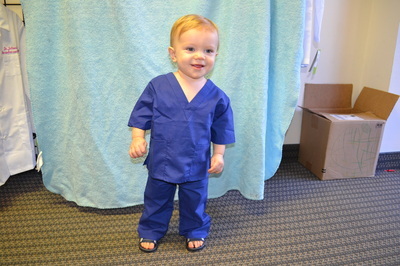 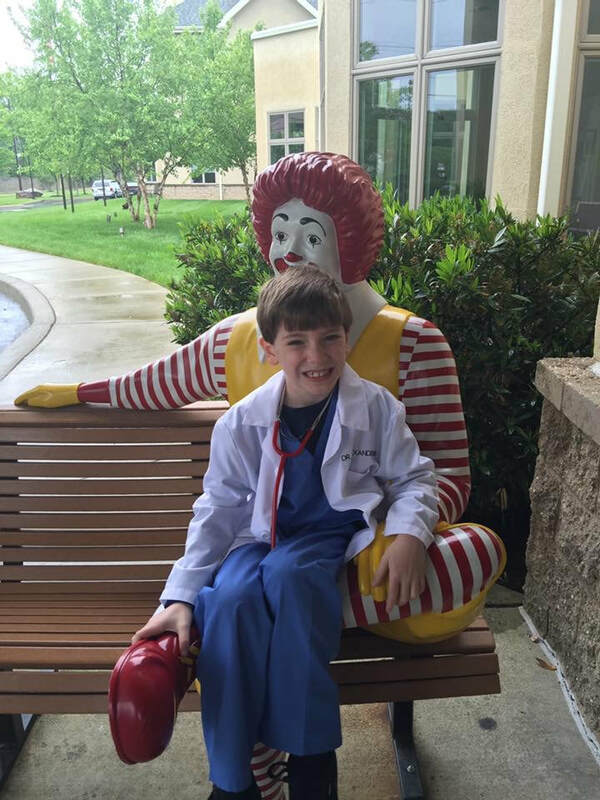 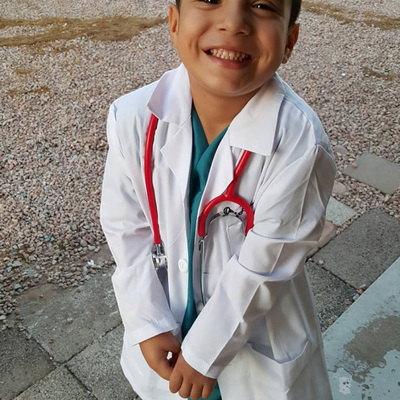 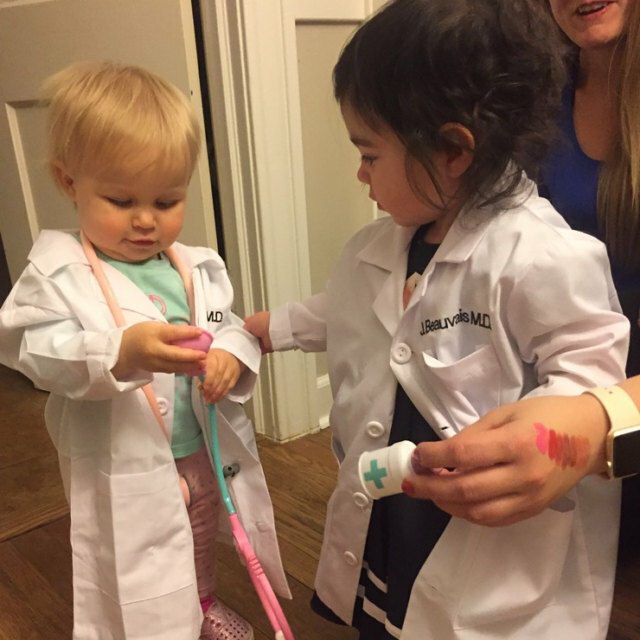 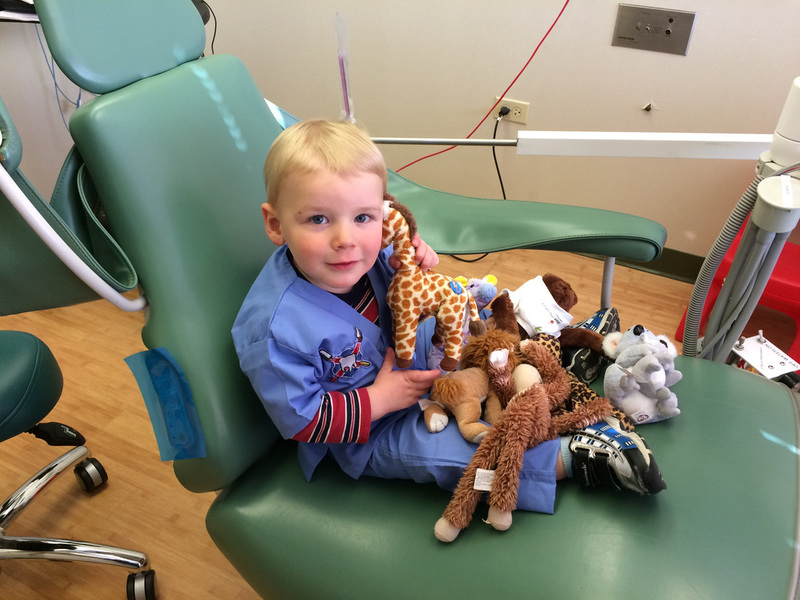 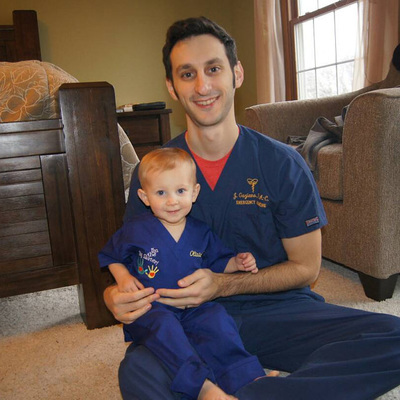 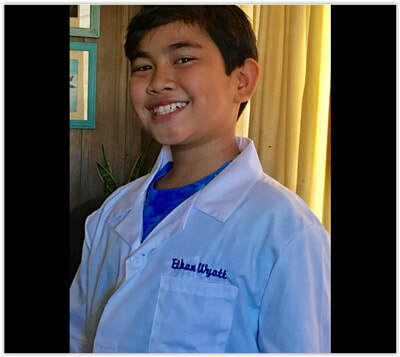 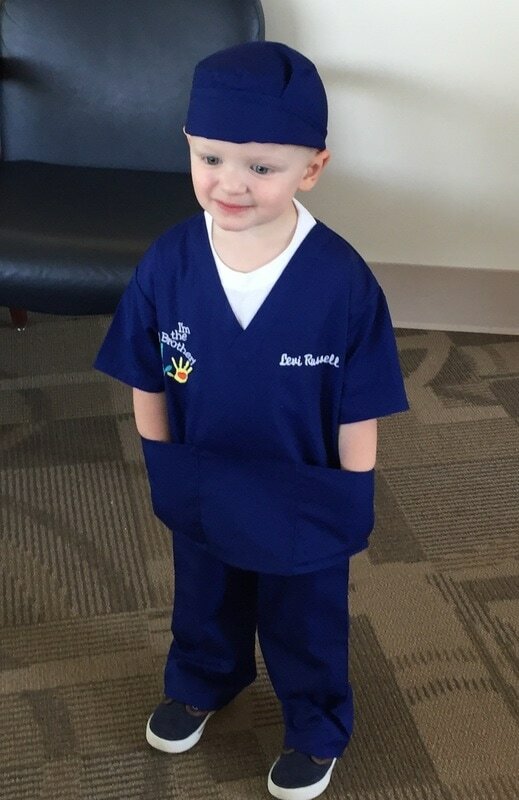 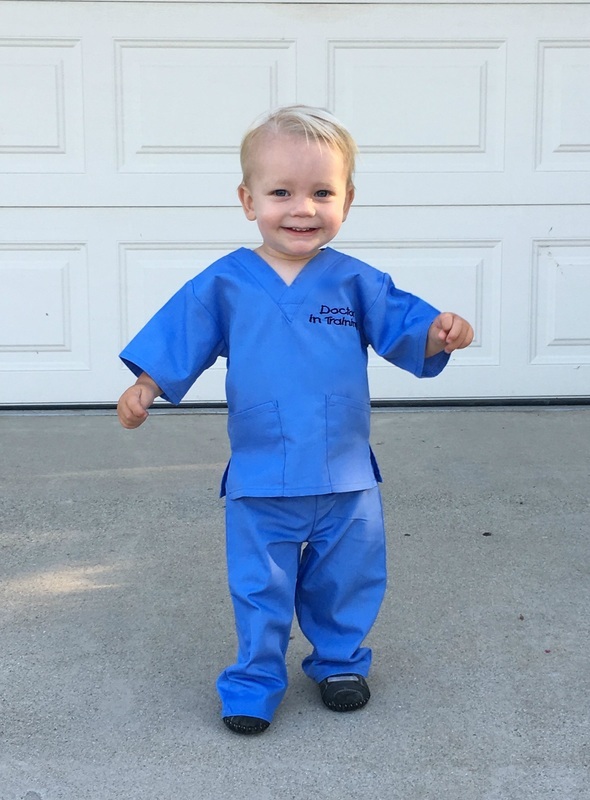 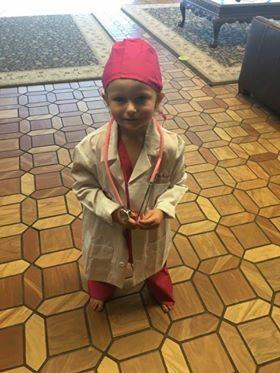 If you have a budding little doctor, nurse or scientist on your hands, then you'd be smart to pick up some kids lab coats or scrubs. 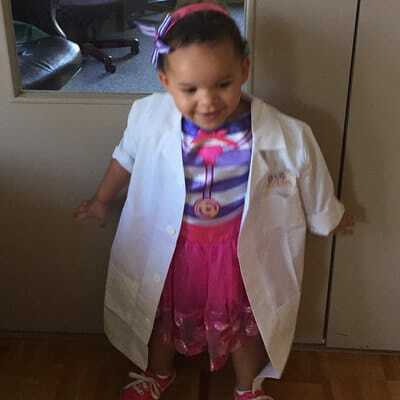 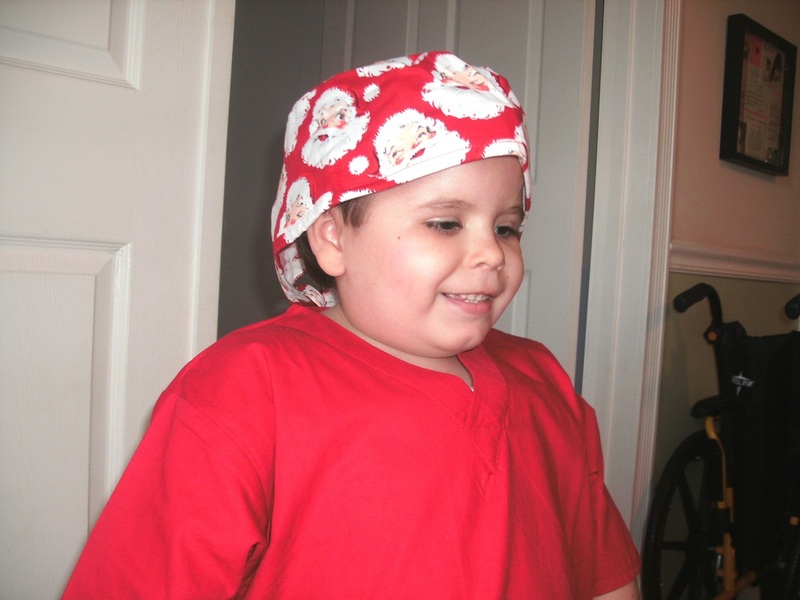 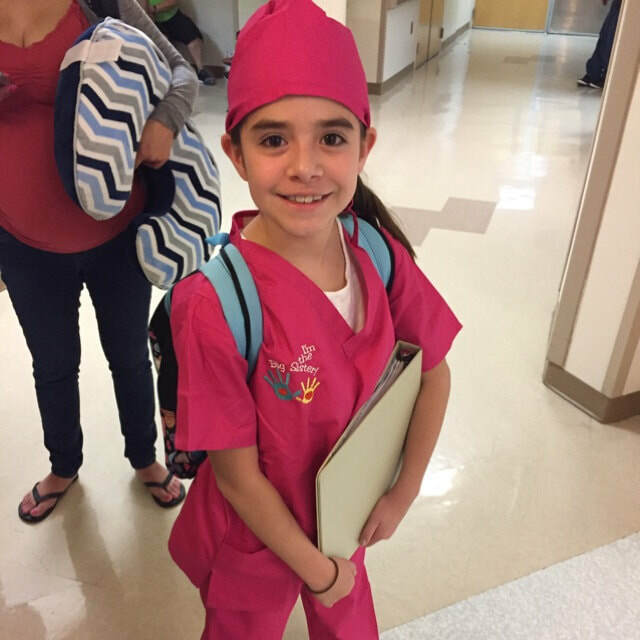 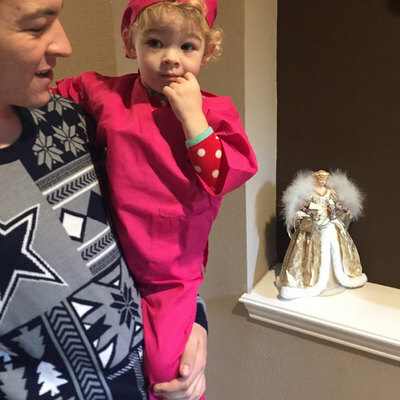 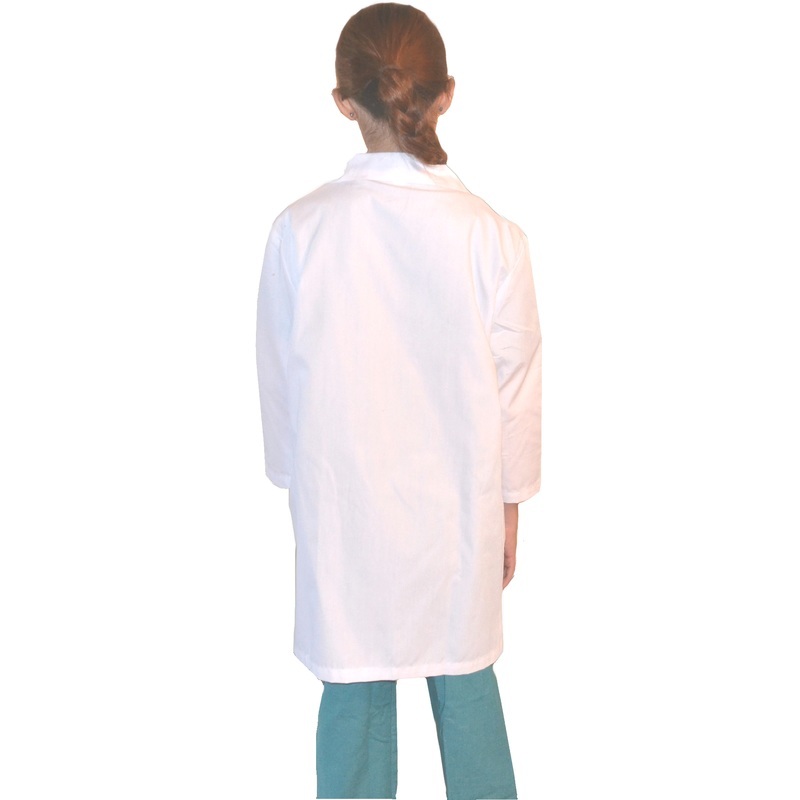 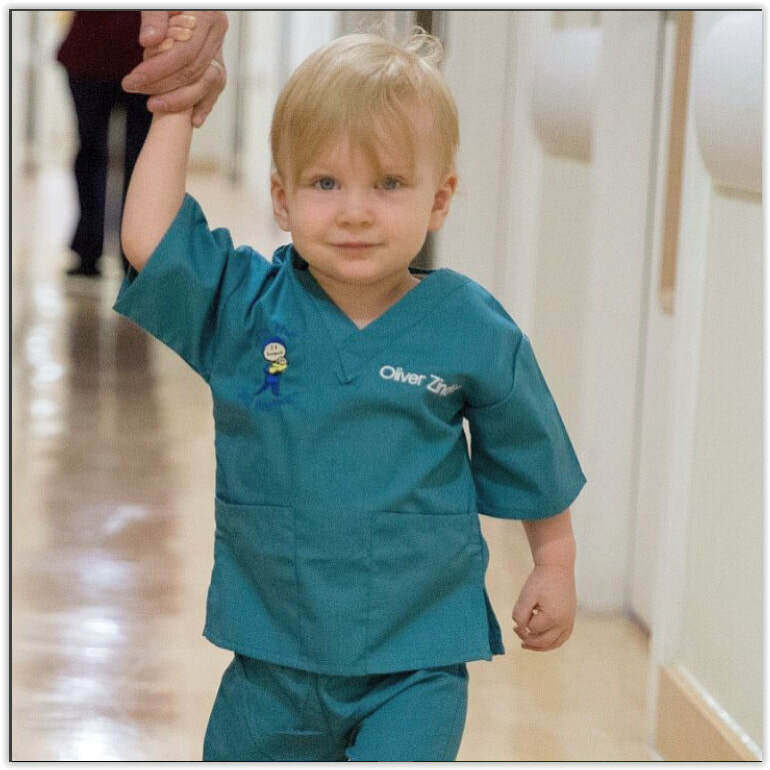 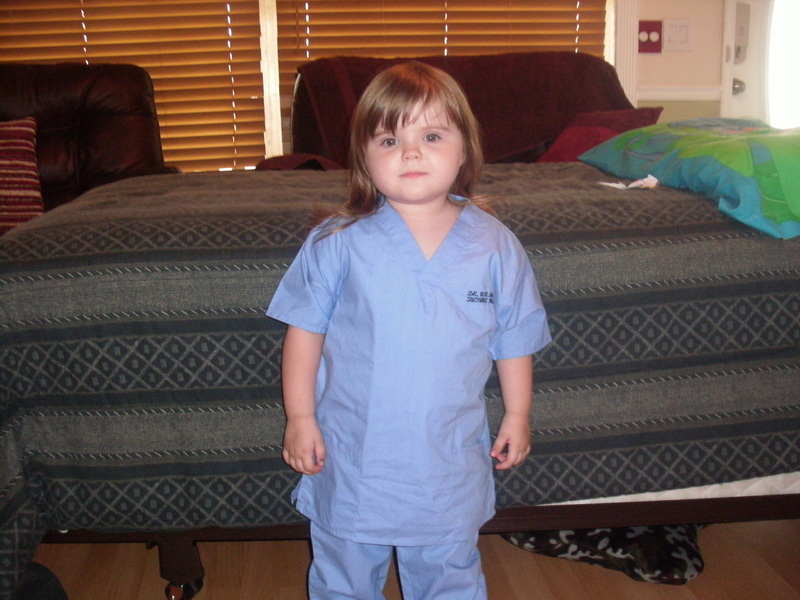 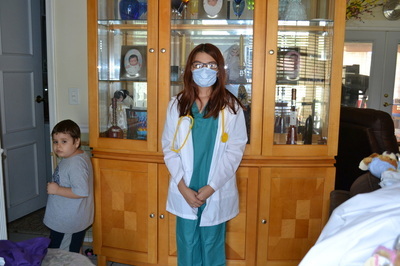 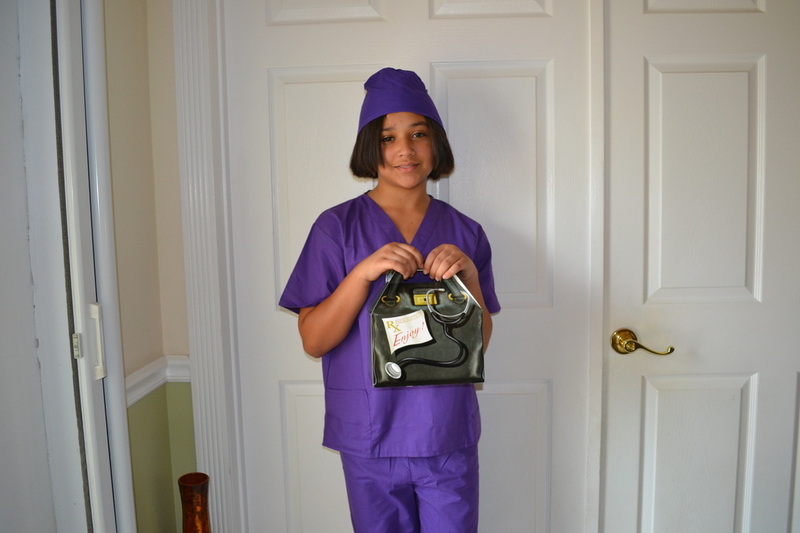 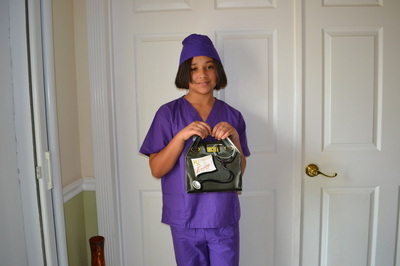 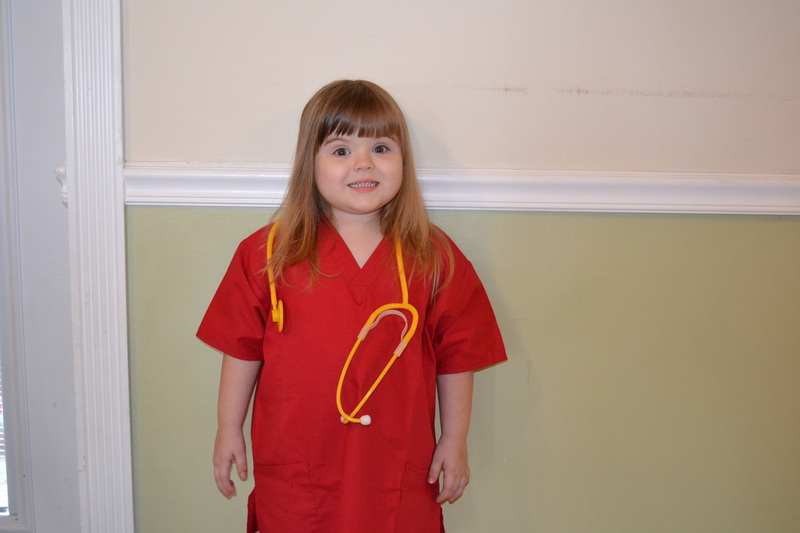 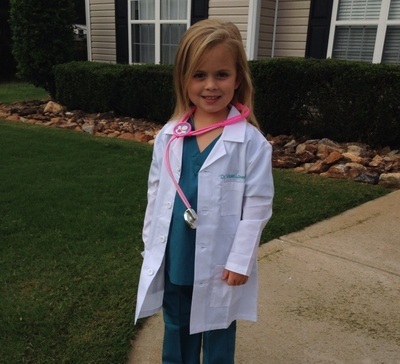 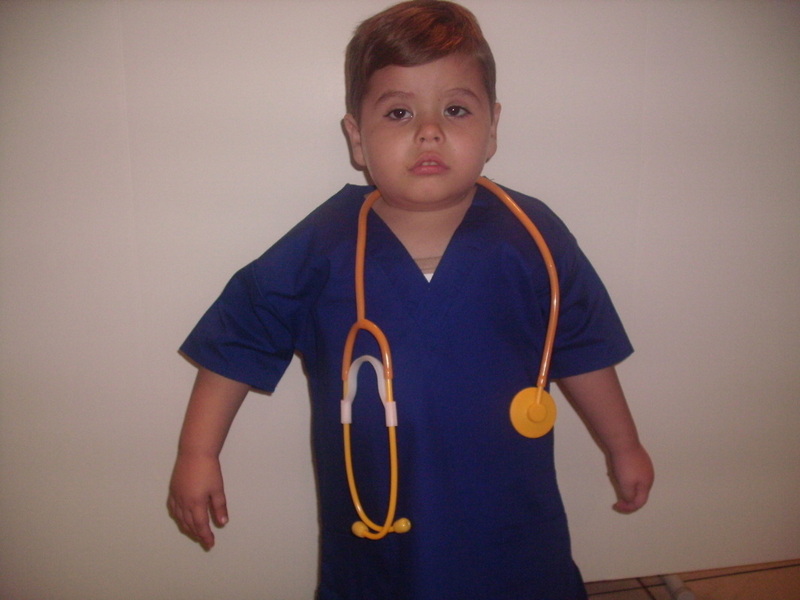 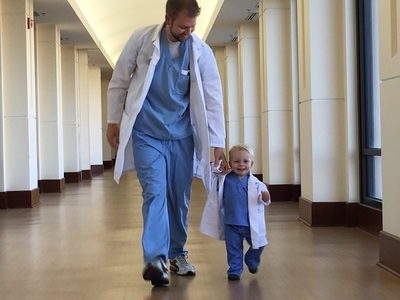 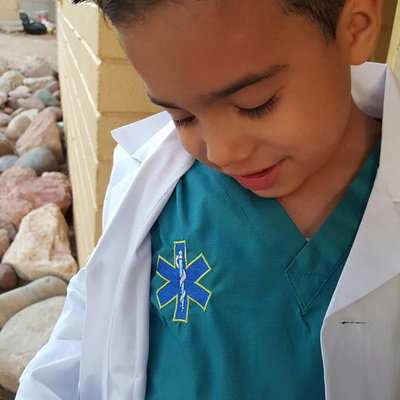 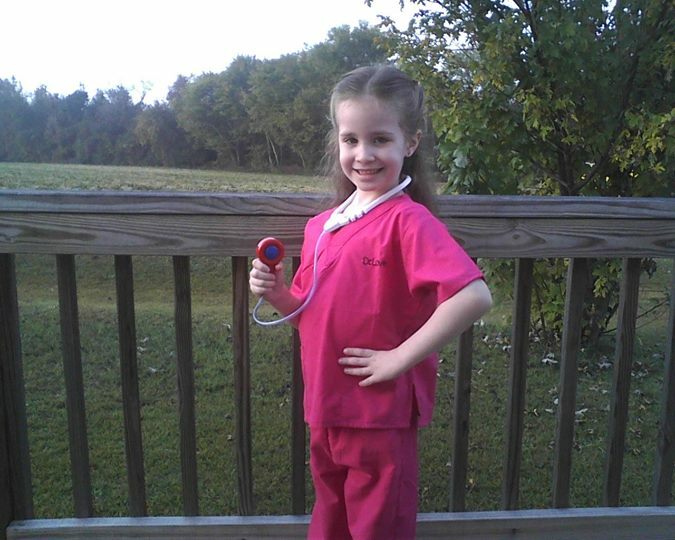 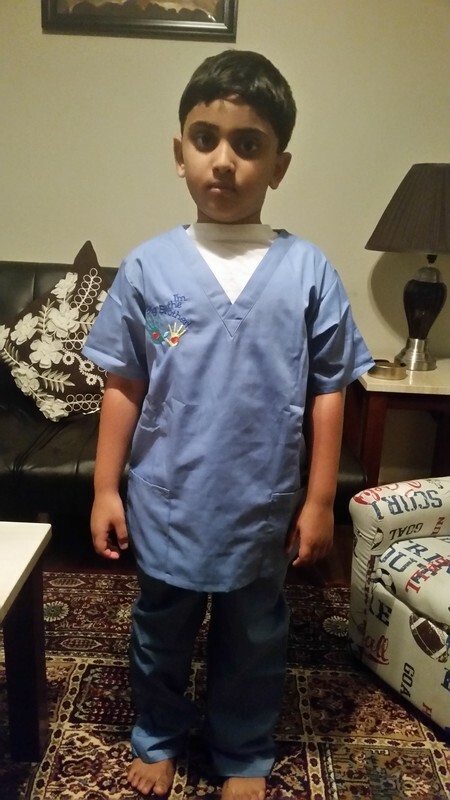 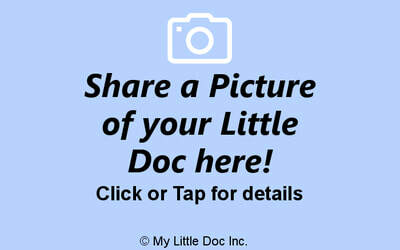 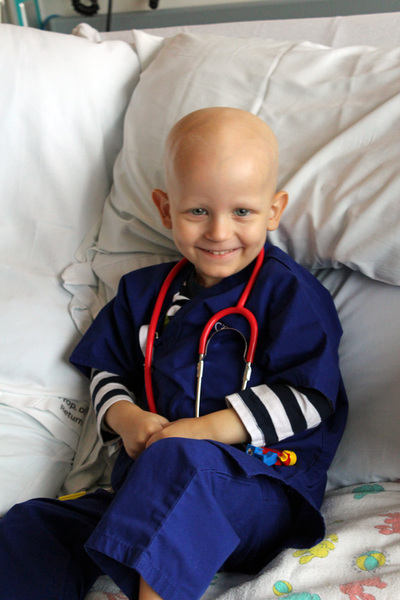 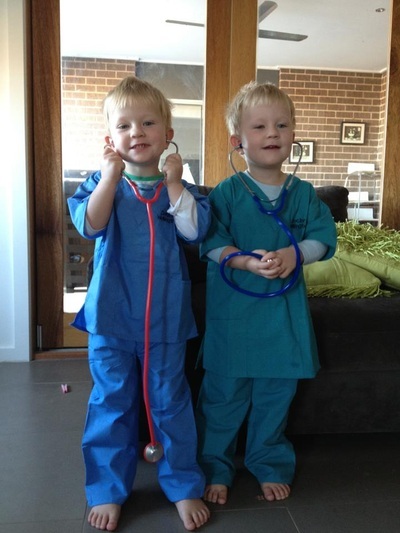 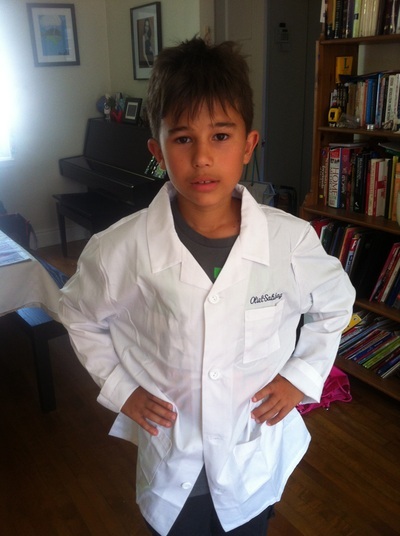 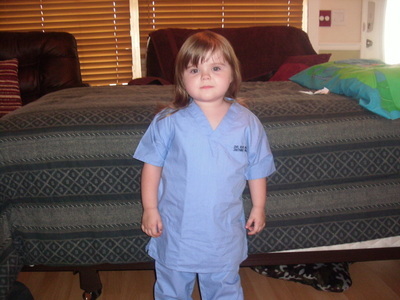 Our "My Little Doc" Brand 3 Pocket White Kids Lab Coat has 2 side pockets and 1 chest pocket. 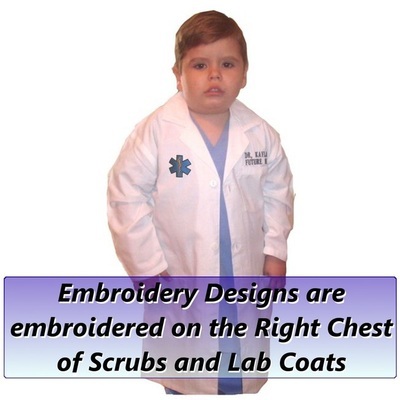 The Coats have 4 buttons in the front for a secure fit. 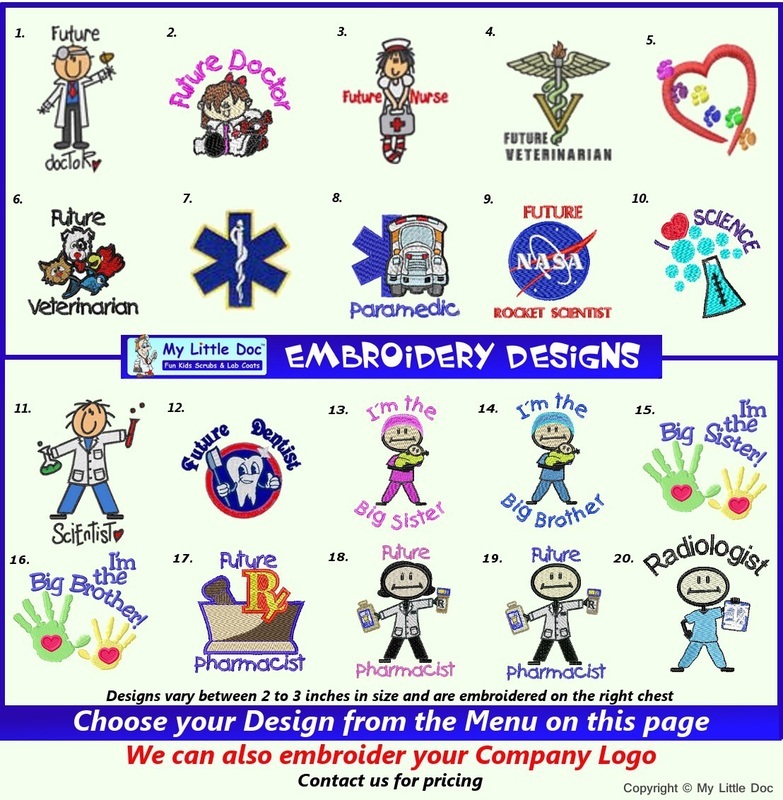 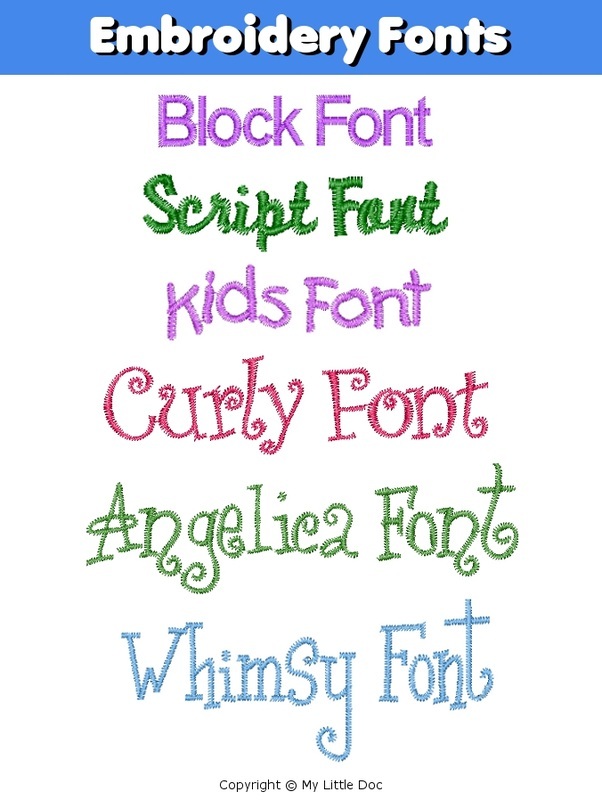 Personalization entered above will be embroidered on the LEFT CHEST above the pocket. 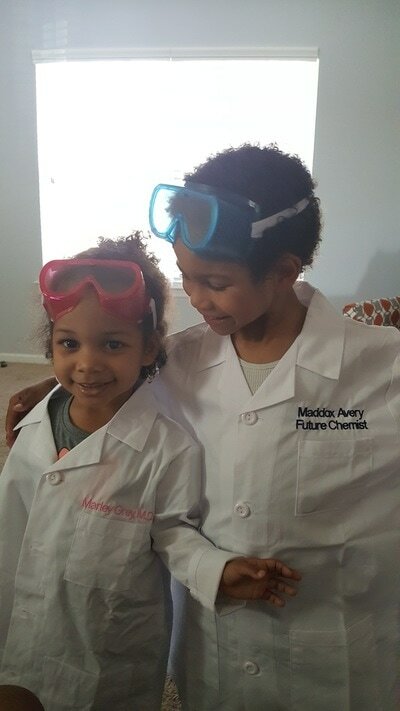 These are REAL Lab Coats not inferior "Costume Quality" products. 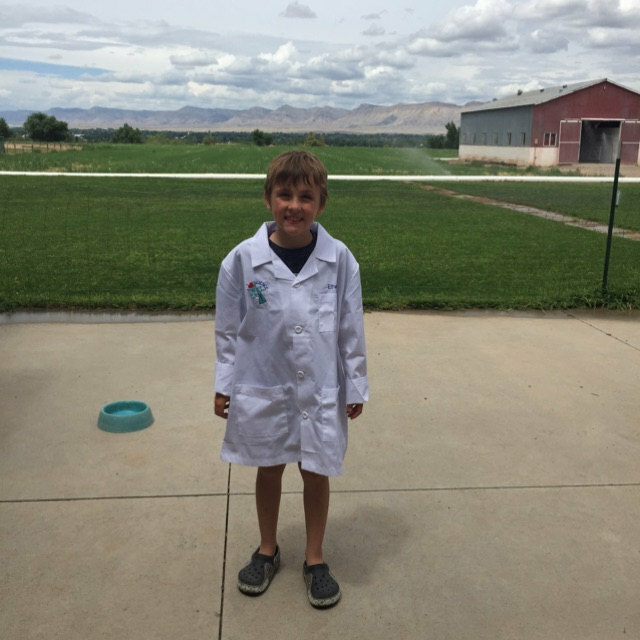 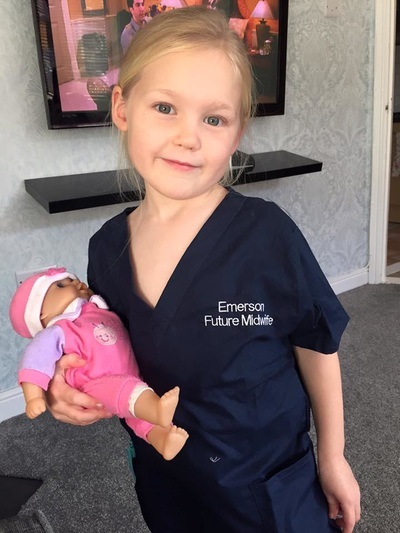 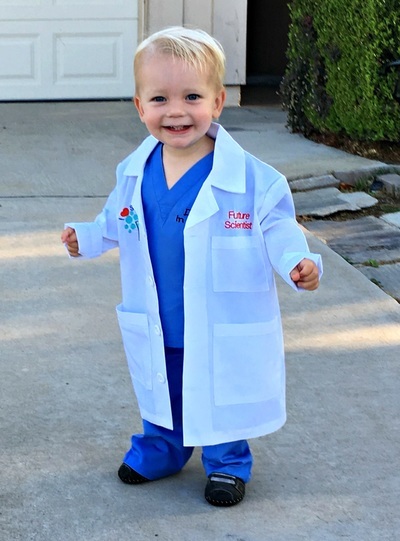 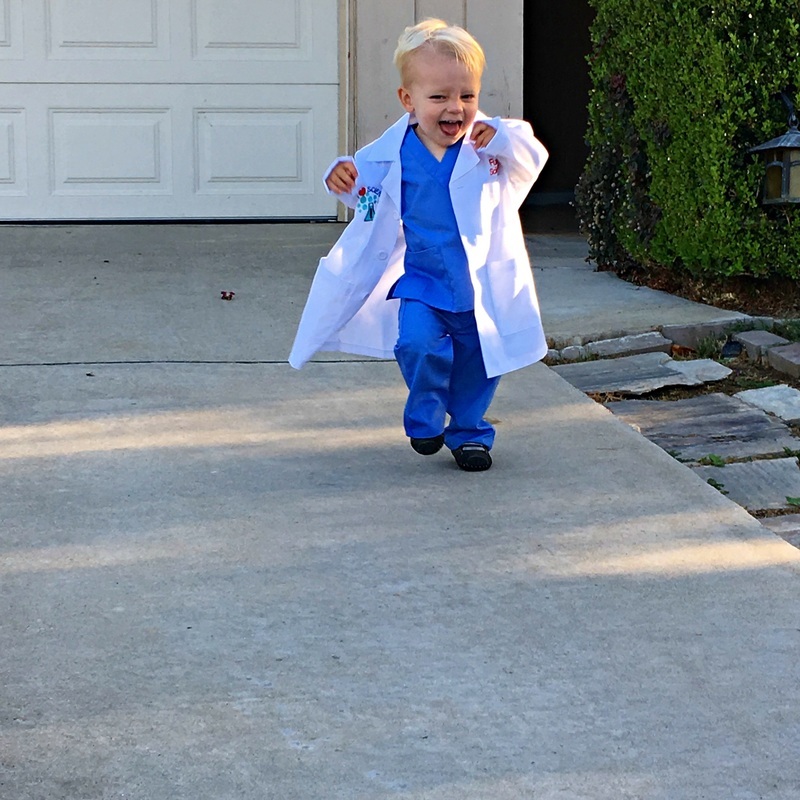 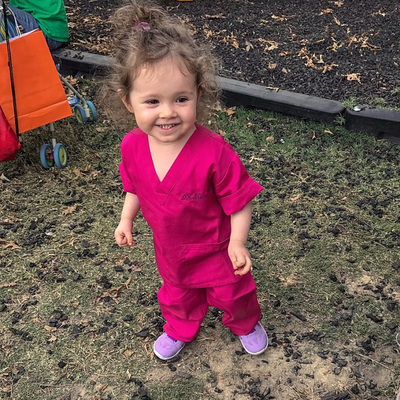 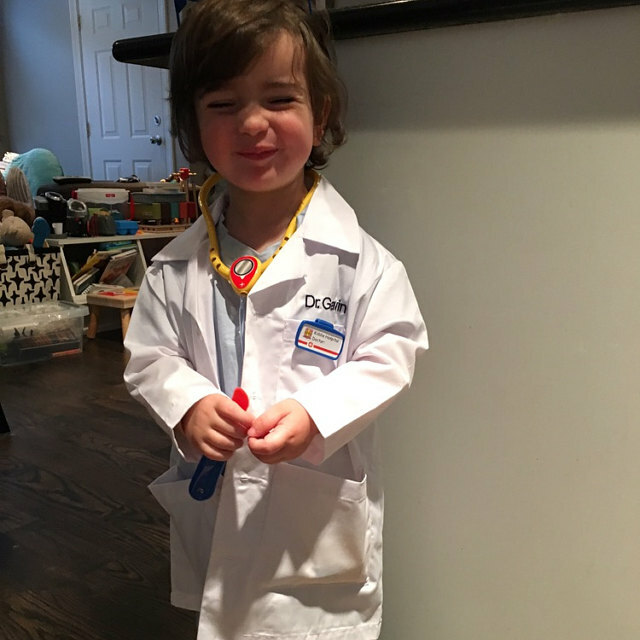 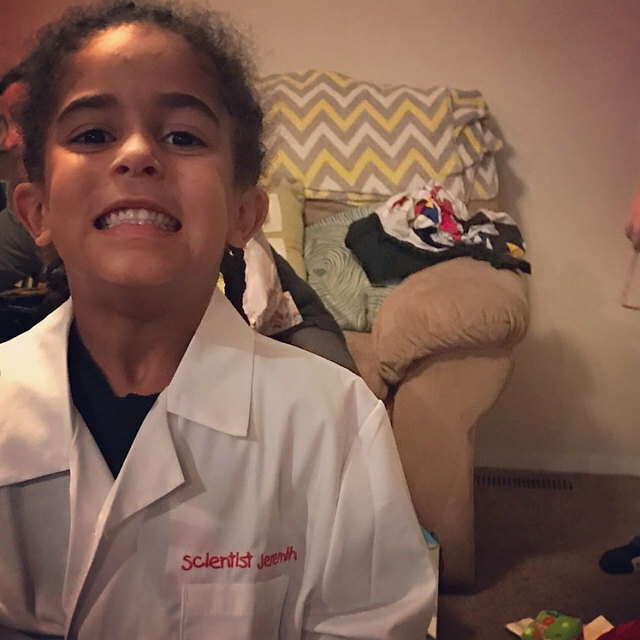 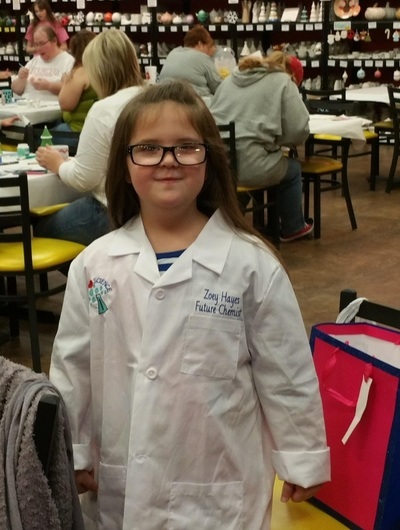 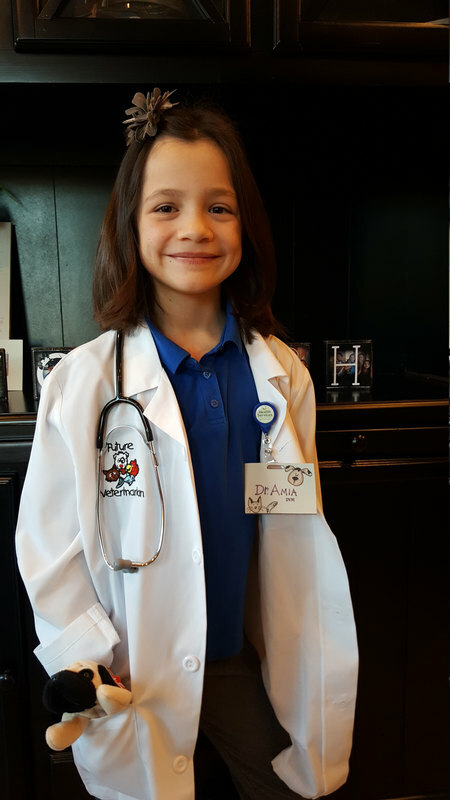 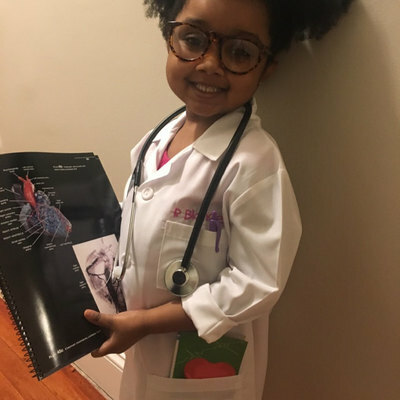 Whether your child has dreams of a future helping others or just wants to be like mom or dad, this little lab coat is the perfect prescription for playtime. It has classic lab coat styling with two front patch pockets and one chest pocket.